Ready to improve your cooking instantly? 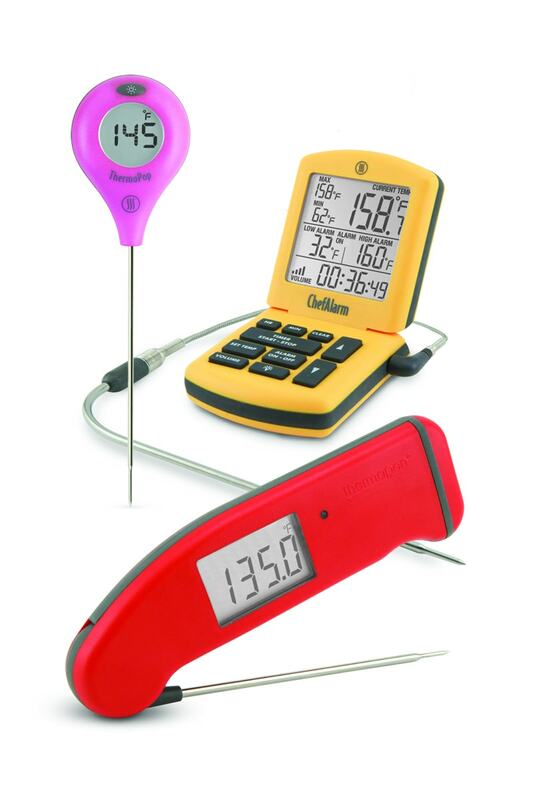 Enter to win a trio of best-rated Thermapen® Mk4, ThermoPop®, and ChefAlarm® from ThermoWorks. These cooking thermometers will be your new kitchen best friends! 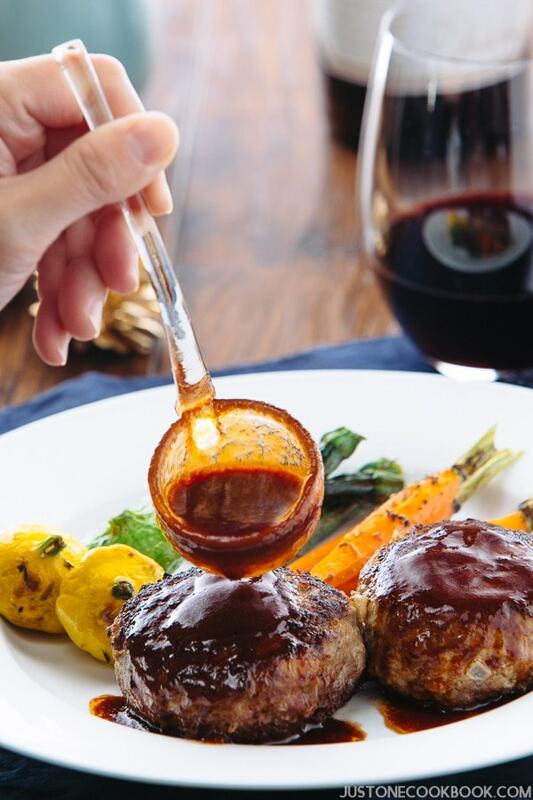 To show you a little extra love this Valentine’s day, we’ve joined together with ThermoWorks to give away their best-selling cooking thermometers to 3 lucky winners! Each person will receive a set of Thermapen® Mk4, ThermoPop®, and ChefAlarm®. Rated #1 by Cook’s Illustrated and America’s Test Kitchen, you’ll be blown away by how these little tools can improve your cooking instantly! I personally use the Thermapen® Mk4 a lot in my cooking, especially recipes like Japanese Pork Roast and Matcha Tiramisu that count on accurate temperatures. And I cannot emphasize how important it is to have a reliable thermometer to achieve perfect results. It is literally a life-changer! I know you’re going to love these thermometers too, so don’t forget enter for your chance to win! 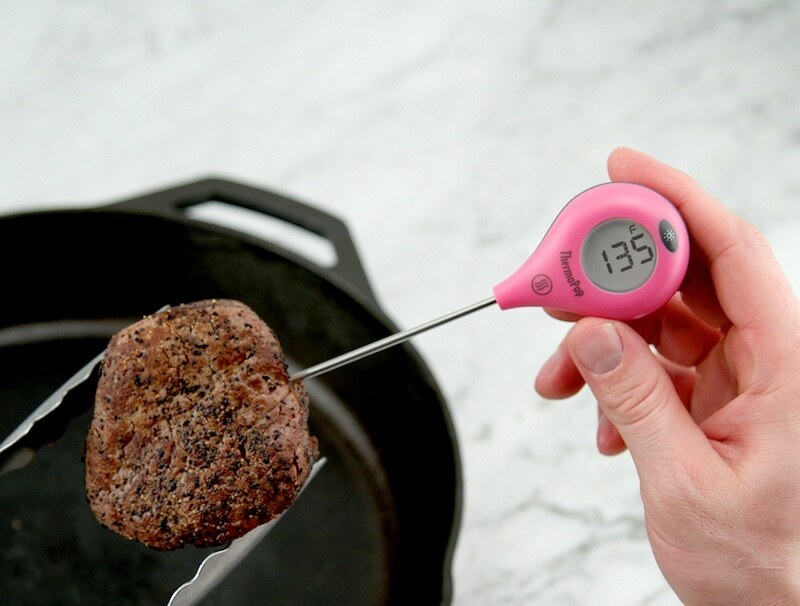 The Thermapen Mk4 is the #1 Rated Instant-read Thermometer by America’s Test Kitchen and the one that I use in my kitchen. There are so many uses for the Thermapen including measuring the temperature of meat, making homemade caramels or candy, checking that a loaf of bread is baked perfectly, knowing the exact temperature of your softened butter, checking your water before you add yeast and many more uses. 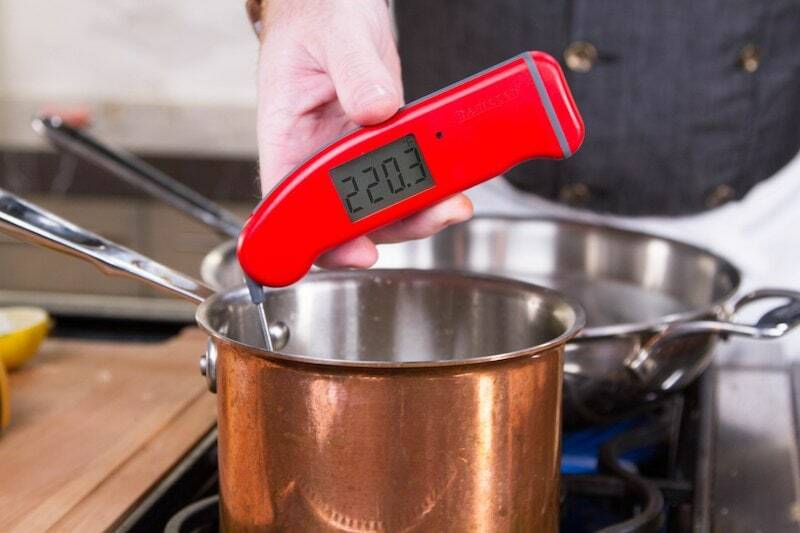 Each Thermapen has an accuracy of 0.7°F and a 2-3 second reading which comes in handy when your hand is over a hot pot. It has an auto-sensing sleep & wake mode, is waterproof, and comes in 10 fun colors! Having exact temperatures takes away the guesswork when cooking any dish so you can have perfectly-cooked and consistent results every time. The ThermoPop is the most affordable of all ThermoWorks thermometers and was rated #1 by America’s Test Kitchen as the best thermometer in the lower price range. It has a rotating display, reads in 3-4 seconds, and is available in 9 colors! Like the Thermapen Mk4, the ThermoPop can be used in meat, chocolate, caramel, baking, water, etc. The ThermoWork’s ChefAlarm is a cooking alarm that comes with a 6-inch probe. Everytime you open an oven door, you can lose over 50°F of ambient heat which can alter your cooking time and results. With the ChefAlarm, you insert the probe into your food items such as a pot roast, turkey, or cake, close the oven door with the probe inside, and set the temperature alarm. You can leave the food in the oven and not worry about checking it until the alarm goes off, letting you know that your food has reached the perfect temperature. The ChefAlarm also comes with a Probe Clip that fits on most pot sizes, letting you track the temperature of frying oil, boiling water, stew, etc. There is also a low-temperature alarm which is perfect for making yogurt, defrosting a turkey or cooling items. It is also great for Smoking and outdoor cooking! ThermoWorks is all about quality products and great customer service. They have their own calibration lab at their headquarters in Utah where they test all of their products for accuracy and durability. Their products exceed industry standards and are used in commercial kitchens, by professional chefs, and home cooks alike. This giveaway contest closes on February 17th at 12 p.m. PST and is open to US & Canada residents only. Ticket 1 (Required): Follow ThermoWorks Instagram and leave a separate comment below on this post. Ticket 4 (Optional): Tell us what is your favorite way to find new recipes. Do you prefer cookbooks, blogs/ websites, Pinterest, apps, google search etc? 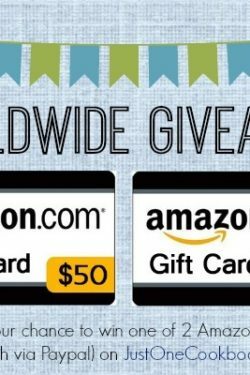 This giveaway is sponsored by ThermoWorks. I subscribe to your newsletter. Love them! I enjoy all the recipes provided. My wife is from Japan but her cooking lacks something. I use your recipes and find tha that flavors are more like the flavors I experience in Japan. Just One Cookbook and ThermoWorks are two of my favorite blogs/email newsletters! My favorite way to find recipes is by blogs! I do use Google search engine to see what is available, but I love newsletters showing me daily inspiration! I find new recipes lately on blogs so follow. Currently an email newsletter subscriber. I enjoy all forms of recipe searching. It depends on my mood and how much time I have to make a meal. I have been using a ThermoWorks Dot for some time. Great product. Already subscribed to JOC on YouTube! The Tamagoyaki video was *particularly* helpful in learning technique. Instagram for searching tags and generally seeing if anything catches my eye. Particularly useful for bento arrangements, fast how-to recipes, and avant-garde presentations from restaurants I love. Pinterest for finding specific recipes that people have tried (now that they have that feature), and how many pins it’s had. Found a lot of very fast and simple recipes. Cookbooks – I have a collection that I am VERY proud of, some from high-end restaurants, some that are dedicated to very authentic traditional cuisines. I appreciate these for depth of knowledge, fantastic photography, detailed technique explanation, and stories of how the dish came to be. I’m very very picky with Food Blogs because I can’t stand entries that have 7 years of barely-relevant story and too-personal details. JOC has RELEVANT story, history, technique, and it’s all to make one truly appreciate the recipe, which has beautifully clear step-by-step pictures and thoughtful notes. I come here first when I want to find an authentic Japanese recipe. Thanks for all your hard work and passion! Well… those sound nice. Consider this a comment. Oh, almost forgot… I tend to search either the web, or sometimes– please don’t hate me– YouTube for tips on new recipes and cooking techs. (Especially for the Instant Pot. Someone is ALWAYS coming up with a new use for those! I read your newsletter all the time. I love to read recipes from my cookbooks then from blogs like your’s. It would be a blessing to win this! My favorite way to find new recipes is from friends & family. I followed ThermoWorks on Instagram. I prefer cookbooks to get new recipes. I also like using websites and blogs. I followed ThermoWorks on IG. My favorite way to find new recipes is to go to blogs. Just One Cookbook is the first blog I normally go to. Then I go to the other blogs I follow. Sometimes I will also find new recipes on Instagram. I prefer blogs/websites to find new recipes. I already follow you on IG 🤗 Love your posts! I usually check allrecipes first for recipes since those recipes have been tried by users and I look at comments. Blog comments I’ve found are mostly praise for the wonderful posts and that they’ll try the recipe. I also use google search. Great article! Love your posts! When I’m researching to cook it bake something, I start with Pinterest, but it evolves to searching the internet & cookbooks. Most recipes I end up using are a mash-up of everything I’ve seen. I subscribe to the Just One Coobook because I enjoy the great videos that have helped me to be a better cook. My favorite way to see new recipes from Just One Cookbook is the email newsletter. Following thermoworks on IG. I’ve been admiring their MK4 ever since I heard about it from a friend. Would love to win it. Thanks for a great giveaway.. I already subscribe to your e-newsletter, which I love. I’ve been a long time follower of your Email Newsletter Nami! I’ve been a long time follower of your Instagram! I’ve been a long time follower of your YouTube channel! I already follow you/JOC on IG. Always love seeing your vacation stories. I’ve been a long time follower of your Facebook! JOC is my go to source for Japanese recipes. I am a visual person so my favorite source for recipes is a physical cookbook, but I love seeing recipes on Facebook and Youtube! Already follow JOC on FB. Love it. Thanks! I find new recipes all sorts of ways. But bottom line, it comes from a blog or web page. How I hear about the new recipe of the blogger or web page is through email, IG, FB, or Pinterest. And that is also how I hear about new cookbooks. I’m subscribed to your email. Love love love them! 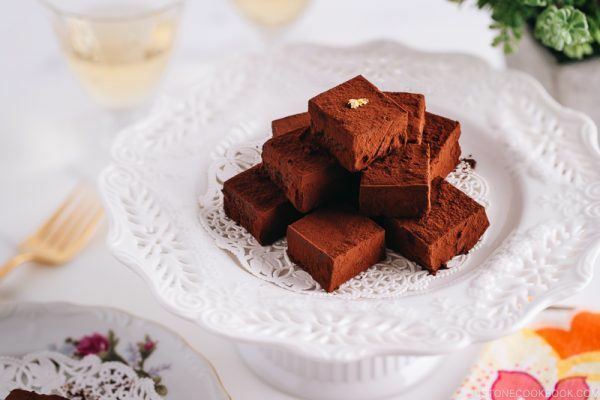 I have been following your posts for few years now and my favorites recipes so far are soy milk hot pot, pressure cooker short ribs, and Earl Grey chiffon cake which I have also posted some pictures on IG. I’m writing to you because I am wondering how can I send you a sample of my product to be used as a giveaway product or what are the requirements for you to talk about my product on one of your post or videos? My product is hand pump oil sprayer made out of glass and stainless steel which don’t need harmful chemicals or propellants to trigger oil for a low fat cooking. This product is available for sale on Amazon. I like finding recipes on blogs or apps like Yummly! I am already subscribed to you instagram posts. I love to see visuals of the food and you! I receive emails from Thermoworks, but I have yet to purchase one of their products. I always intend to, but so far I haven’t done it! This inspires me! I look for recipes wherever I can find them. I have an extensive collection of cookbooks from all over the world, and if I’m lazy, I will google search for a recipe. There are also a several sites I like, especially: Epicurious, Food and Wine, Saveur, and Chinese Sichuan. I subscribe to a lot of recipe newsletters and I doubt I’ll ever get to but a few of them. I have been cooking for 70 years, and I hardly ever make anything twice! Well, except family favorites, and traditional holiday foods. I love to cook, as you can see! Just followed ThermoWorks on Instagram! I am already subscribed to your email newsletter. My husband signed me up for your newsletters and I am so glad he did! I am following ThermoWorks’ IG! I am following your IG! I’ve liked your FB page! To find a specific recipe that I haven’t tried before, I tend to use Google search (that’s how I found you!). This can lead to a Youtube Channel, and I can end up following the creator who posted the recipe. If I am interested in trying to cook something within that creator’s theme (such as Japanese food like yours, Korean/other Asian food like Seongkyoung’s, or baking like KAF), I will then refer to that person’s website directly, and search using their built-in search engine. I am already subscribed to your newsletter! I love it! I subscribed to your news letters. I enjoy the taste from Yokohama & Tokyo. To find new recipes I like to use a few methods, I have a large collection of cookbooks so I tend to start there, but will usually end up surfing the web for a recipe that has all the ingredients I happen to have on hand if I don’t feel like going to the store. Other times I will either go to a blog page and surf or google search for recipes with certain ingredients like if I am in the mood for shrimp but want something different than what I usually make. I do tend to end up on Just One Cookbook a lot though! 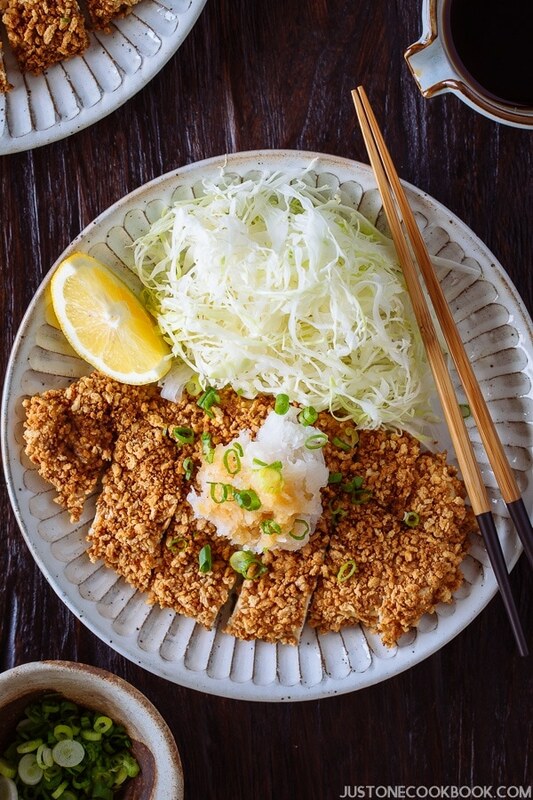 🙂 The recipes on here make Japanese cooking a bit easier, especially with the videos! I subscribed to your U-tube channel and watched you prepare fluffy pancakes. It’s good to watch you make recipes because sometimes there are techniques, especially when one is trying a new cuisine. Thank you for showing me how. I already subscribe to your YouTube channel!! I already follow you on Instragram!! My favorite way to find recipes is on Pinterest, blogs, email notifications & Google search. I have a ton of recipe books, but it’s easier to search & fun to visual see the step by step process. I finally get to follow on Instagram! We were just discussing that this is an item we need to update in our kitchen! Thank you for offering it as a giveaway! Have never used a cooking thermometer, although always curious about them. Look forward to and enjoy your newsletter. Try out the simpler recipes as long as I can obtain the ingredients. My favourite way to get recipes is via cookbooks. Have not followed many recipes through YouTube because I have to take notes down while watching. Thank you for your blog! I learned how to make anko from you and now I am going to make mochi with my stand mixer, then daifuku! ThermoWorks followed! It is the first instant read thermometer we bought years ago. Love it. subscribed to your channel! Already had watched the fluffy pancakes video and made them, they are delicious. following you on Facebook! I need to make the green tea pudding and matcha donuts 🙂 Thank you for putting such awesome recipes and information out there for everyone to see, try and share. I subscribe to your email/blog. Thank you for your recipes and giveaways! I share your recipes with family and friends. My favorite way to find recipes is on blogs and newsletters. I subscribe to your YouTube channel @Deborah W.
My way to find recipes is cookbooks. I also enjoy Pinterest and blogs. I subscribe to just one cookbook on YouTube. 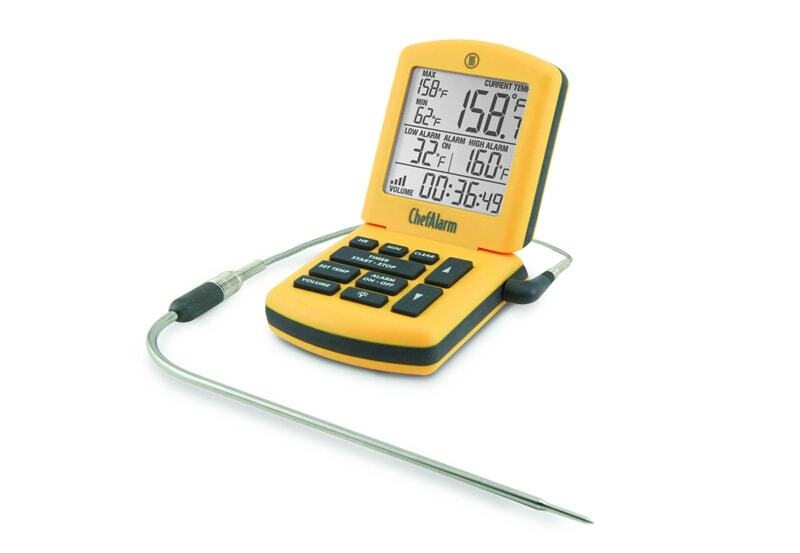 I have listed over Thermapen thermometers for a long, long time. I always look forward to your newsletters, blog and I’m also subscribed to your YouTube channel. I would love to have a Thermoworks. Maybe this might just be what I needed for my kitchen upgrade! Thanks and more power JOC! T4 I like to find recipes through food email articles, IG posts, and google or YouTube search, linking to blogs! I usually compare many and check for ratios or recipe tips before choosing one to use. I subscribed to your You Tube channel and would love to try some of your recipes. Thanks. I am following your Instagram page. The recipes look quite good and I hope to make some of them. Thanks. I gave your FB page a “like” and hope to try the Shrimp cutlet burger recipe. Thanks. I followed Thermo Works Instagram and hope that I could win one of their thermometers. They are truly the best I have been told by my husband who wants one. Thanks. I have a huge collection of cookbooks and use them plus blogs and magazine recipes. They have all been very useful when doing our meals. Thanks. I would keep one and donate one to a senior care home to make sure that food safety standards are met. Subscribed. I could really use a good cooking thermometer. Could really use one of these. Our 20 year old thermometer isn’t accurate and my wife and I argue over it all the time. Stupid as it sounds. I am subscribed to JustOneCookbook newsletter. I follow JustOneCookbook on Instagram. Appears that this is top notch in quality and craftsmanship. Ticket 4, I usually google or use a reliable recipe website I already know of like yours or Serious Eats. Subscribed to newsletter. Looking forward to what it has to offer. Following on Instagram. Thank you. I find recipes to attempt through all sorts of sources. Cookbooks mostly as it’s great having it close at hand while in the kitchen. Subscribed. Green Tea Chocolate? Now that’s completely different. Just followed Thermoworks instagram! Thank you Nami for setting up this giveaway! Ive been looking to buy a thermometer for a while now! I think that your contest prize is a great addition to every cook’s kitchen. I’m a cook that needs all the help I can get so I loot forward to reading your newsletters. I find new recipes mostly on the Internet. I prefer turning to blogs and websites when searching for recipes, but i do love reading cookbooks as well. Also liked your Facebook. Thanks for hosting these giveaways! Have always wanted accurate thermometers to check my candy making! Great giveaway! A thermometer that is so good and correct. I know mine is off and these would be great to have. Subscribed to JOC Email Newsletter! I always start with Google for new recipes. Then branch out from there. That’s how I found JOC! I like to find recipes using pinterest and blogs! I look for recipes on my favorite blogs and Facebook group pages, and search Food Gawker. I just followed Thermo Works on Instagram! I just followed your Instagram! My favorite way to find new recipes is to Google search first and then click on homecook websites or professional sites (such as SeriousEats or FoodNetwork and yours as well) or even YouTube for inspiration! Pinterest helps a lot too! However, I prefer blogs/websites with pictures that guide you along the way. It’s reassuring to see what you made match up with what it’s supposed to look like! I love your blog. I have tried many of your recipes and have not had a single one that I did not like so I finally decided to sign up for your newsletter. We will be travelling to Japan soon and have been reading about your travels which I also enjoyed. Thank you !!!! Thanks for the giveaway! I definitely need a good thermometer! I subscribe to your newsletter! This looks awesome! I can never tell when my chicken is really done. Lovely recipes. Trying the Cod in Miso recipe. This is a great prize package. Look @Instagram and a,quick look at what l want to make, follow link or do a Google search for a recipe. I personally love cookbooks in looking for a new recipe but when in haste (which is more frequent) I do go to specific blogs such as yours and others before doing a general Google search. I search for recipes on favourite blogs/websites like yours and also google search. I subscribe to your YouTube channel as well! I’m a ThermoWorks instagram follower! When it comes to searching for new recipes, I tend to rely on google search and looking through recipe books and blogs that I like. I’m preferred to blogs/websites to find new recipes. I follow ThermoWorks on Instagram! I subscribe to you on YouTube! I tend to look at my favourite websites for recipes (like yours!) otherwise i’ll google it if I’m looking for something specific, or poke around Pinterest for ideas! I love your blog, I look forward to getting your recipes. Tried Japanese Cheesecake last night, but will definitely do it again. The bottom of the cake was a little hard, I attribute it to the fact that I didn’t mix the egg white and the rest fo the batter well. Thank you for your easy to use website. Just click on the ingredient and presto, many great recipes to choose from, and nice pictures. I have been enjoying making many dishes and like receiving your newsletters. Love your emails and Youtube posts. I was several years travelling in Tokyo and Osaka and really appreciate all types of Japanese cuisine. I do NOT instangram NOR text. I would LOVE to win BOTH my thermometers are OVER due for replacement. I have been looking for a great, read durable and accurate not in that order, thermometer. I’m hoping that one of these will fit the bill. I love Just One Cookbook blog! 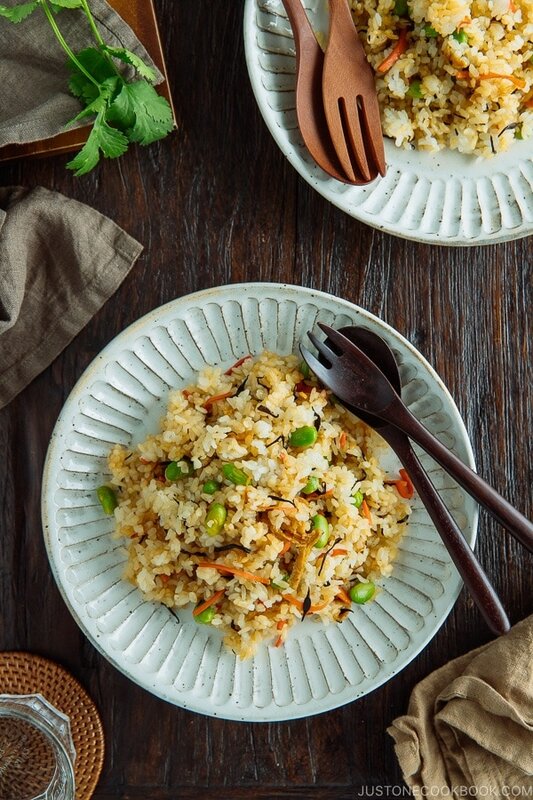 I recently found it when I searching for the recipe to cook Japanese rice in Instant Pot, which I purchased a couple of months ago. Then I looked at the other recipes. I am a Japanese and cook various Japanese dishes. Still I learned something I do not know. 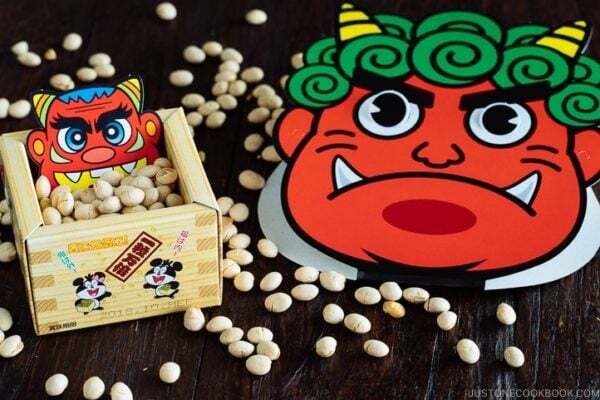 As the blog has lots of information regarding the Japanese food and culture. I am interested in Koji, which I have never used, so I will try using the recipe on the blog. Your YouTube video is so well done, too. I am very excited finding this great blog! Never heard of ThermoWorks. Do you just take the temperature when you think it is done? I follow themoworks Instagram now! I hope to win it! Guam is a territory of the US and postal rates are the same as for Hawaii. May we participate in your contests? I just want to know if residents of Guam are eligible to join the contest. Our postal rates are the same as for Hawaii. Follow your Instagram and liked Facebook as well! By the way, I live in SF, too.! I used to love browsing the cook books in the library and bookshops and I have quite a few books. However l go to Google to search new recipes more often, especially when I look for vegan/paleo or instant pot recipes. Normally I search with the ingredients. Our family of 5 (grandparents, adult children and 4 yr old granddaughter)went to Japan recently. Followed your trip guides. It was perfect. Following your blog for over 5 years and enjoying wonderful Japanese meals thanks to you. Love to use your website for Japanese recipes. I would love to win the prize set from Theromopen. I just followed ThermoWorks’ Instagram account! I have ALREADY subscribed your newsletter. Totally enjoyed them! Enjoy your ski holiday! I just followed your JOC Instagram! I love your recipes! You are easy to understand and the pictures are great! I like to get recipes from actual books or magazines because I like to manually flip back and forth between the pages. My next favorite way to get recipes is through blogs. I like the notes and comments different chefs have and like the reviews from people who’ve tried the recipes. I subscribe to a number of bloggers’ newsletters (including yours!) so the email newsletters are the first place I go to in finding new recipes. Once I’m on the food bloggers’ websites, I will browse through recipes to find new inspirations! Yes! I just liked your JOC Facebook page! Great products. I own a Mk4 and I love it. Need one for my outdoor kitchen. I usually google new recipes, and if the blogs I following happen to show up in the search, I will go there first. I usually find recipes via Google searches, because I tend towards looking for recipes that already account for the equipment/ingredient restrictions that I have instead of modifying it myself. Mostly because that usually turns out rather disasturous. Otherwise, I would check favourite blogs/websites (like yours!) regularly for ideas and inspiration. I follow Thermoworks on Instagram. The Thermo Pen is ESSENTIAL for pastry work in my kitchen! It is worth the price ..I”ve had mine for MANY YEARS and it just died. So sad as I miss it–can’t do pastry work without it. THe new model ook even more wonderful with its ‘all directionality’ read out. I love getting your email notices and the links to your you tube videos! It encourages me to try new things like making umeshu which will be ready to enjoy in May! Thank you and Mr JOC for all of the hard work that goes into making those videos. I really have been enjoying them! Love everything about your Blog, and to make all the recipes even simpler a new ThermoWorks would be stellar! Love their Instagram page too! I keep learning so much from you! Thanks for the amazing blog and give-aways. Now following you and ThermoWorks on Instagram! Why didn’t I think of following you on YouTube and Facebook before?? Thanks for the opportunity . I love searching for recipes on Pinterest. Thank you for always updating us with your new recipes, information, etc. I look forward to your insights. Have a wonderful Family Spring Break. Be safe! Lately my go-to way to find new recipes is pinterest. That said, I also like looking in cookbooks, on google, and on youtube. I subscribe to your Email Newsletter with this address. My favourite way to find new recipes is to go through blogs and cookbooks. This is my go to source for delicious Japanese food for my family.